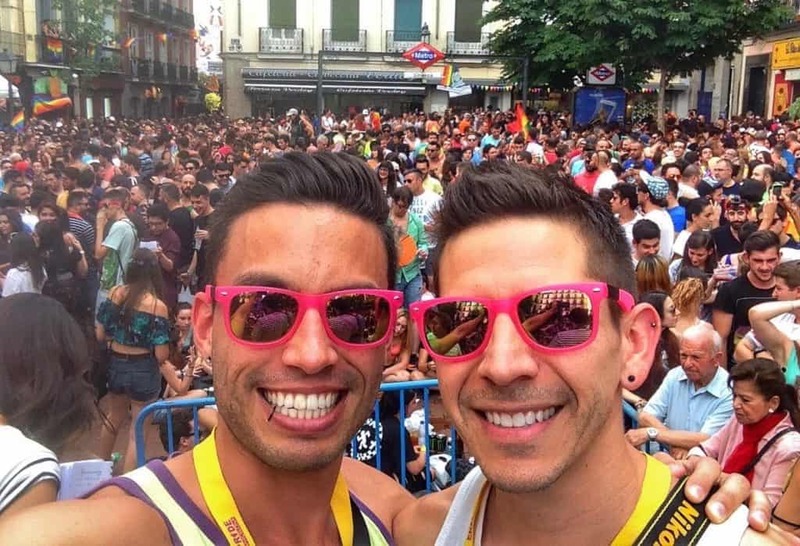 Barcelona or Madrid Gay Pride: Which One is for You? Iceland is easily one of the most gay-friendly destinations worldwide. With progressive leaning views, inclusive LGBT laws and a tolerant population, it’s a great destination for gay travelers. It’s also one of the safest countries to travel to having an incredibly low crime rate compared to other western nations. Add beautiful landscapes, waterfalls, glaciers and puffins and you’ve really got no excuse not to go. We’ve teamed up with Out Adventures to share some amazing (and gay!) experiences in this tiny island nation just south of the Arctic Circle. Barcelona has been a destination of choice for gay tourists for the past couple decades and its reputation as a gay friendly city is well deserved. The Mediterranean climate is difficult to pass up and the proximity to beaches and mountains make it a visual masterpiece. We’ve been to Barcelona at least five times and we discover something new and exciting every time we visit. With mild weather, a thriving gay scene and a great quality of life, Barcelona is wonderful anytime of the year but the city explodes with life during its annual pride celebration. 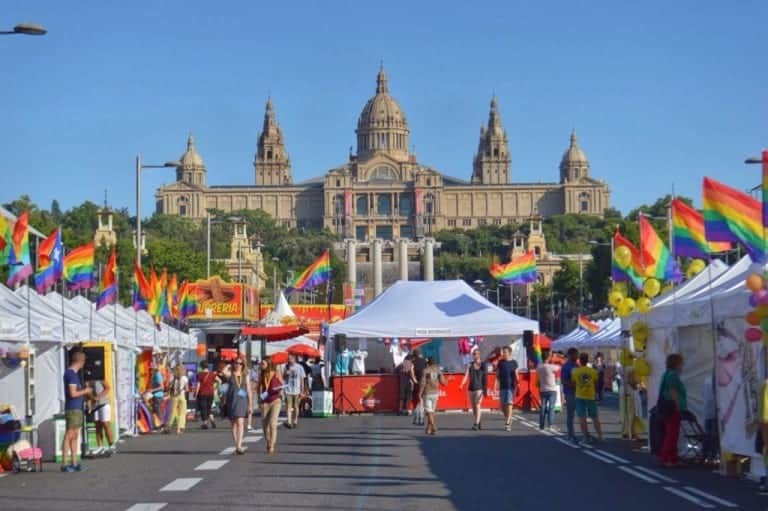 Pride Barcelona 2018 is scheduled for June 23rd to 30th and features a dedicated pride village with food and drink vendors plus a parade, lots of activities and performances throughout the weekend. The city hosts numerous parties and activities including an amazing (and free!) outdoor foam party as part of the festivities. 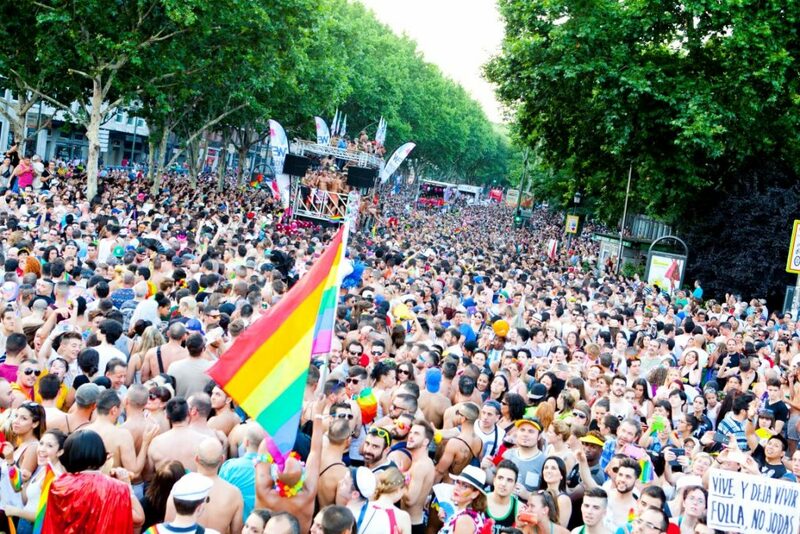 In fact, last year marked the 10th anniversary of Pride Barcelona and each celebration just gets better than before. We attended Pride Barcelona in 2015 and had a blast so we thought we’d give you a rundown of 9 amazing reasons why we think you should attend! We promise you won’t regret it. Special Offer! – Want to visit Barcelona during gay pride? You can save 25€ on the Barcelona Gay Pride package with Rainbow Gay Tours, our favorite European gay tour operator. Just mention the promo code “TWOBADTOURISTS” when booking for your discount. More info here! Summer is a fantastic time to visit Europe and Spain is no exception. With plenty of warm and sunny days you could spend months exploring the big cities and Spanish countryside, but given you probably have just a short time to visit you’ve got to pick the best and most exciting. Summer is also pride season and Spain boasts some of the best gay pride celebrations in Europe and the world. This year Madrid will welcome World Pride 2017 where an expected 3 million people will join in the Spanish capital to celebrate diversity, progress of LGBT rights and well, to simply come together in public and throw a big party. Just a week later Barcelona will follow with its annual celebration on the coast of the beautiful Mediterranean Sea. We’ve attended both events and can’t recommend them enough. 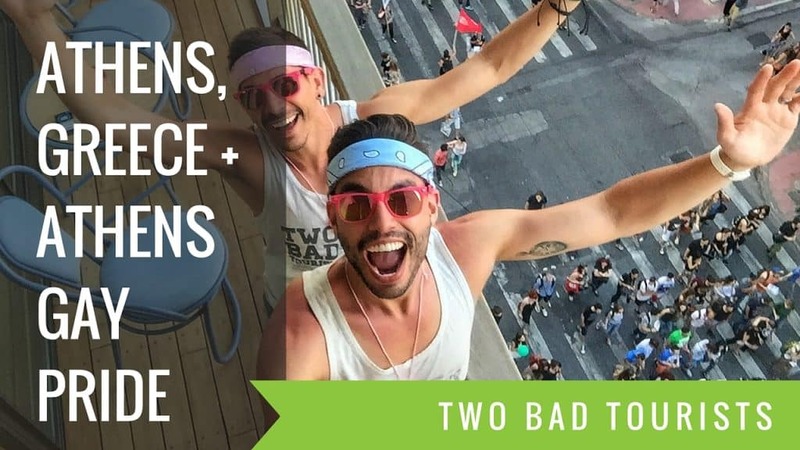 Plus, if you’re looking to join a gay group tour, our friends at Spain 7 Degrees will take you effortlessly to both cities during pride on a 10-day tour from June 30th to July 9th, with a quick stop in Andalusia in between. Madrid is without a doubt our favorite place in the world. We’ve been living here for 3 years and we couldn’t be happier to call the Spanish capital home. On a recent trip back to the states, we had the pleasure to attend a World Pride Madrid pre-party with amazing hosts (yes drag queens! ), fabulous guests and a particularly Spanish flare not often found in New York City. The event was intended to introduce Madrid and World Pride to the US audience, who for reasons we can’t quite figure out, don’t fully know about Madrid and it’s reputation as a gay friendly destination. Food and wine, music and passion; Spain makes an excellent destination for visitors looking for a unique, high-energy getaway. The feeling of “fiesta” fills the air, inviting the world to come out and play. It’s that feeling that makes these top Spanish Gay Pride events worth adding to your bucket list. 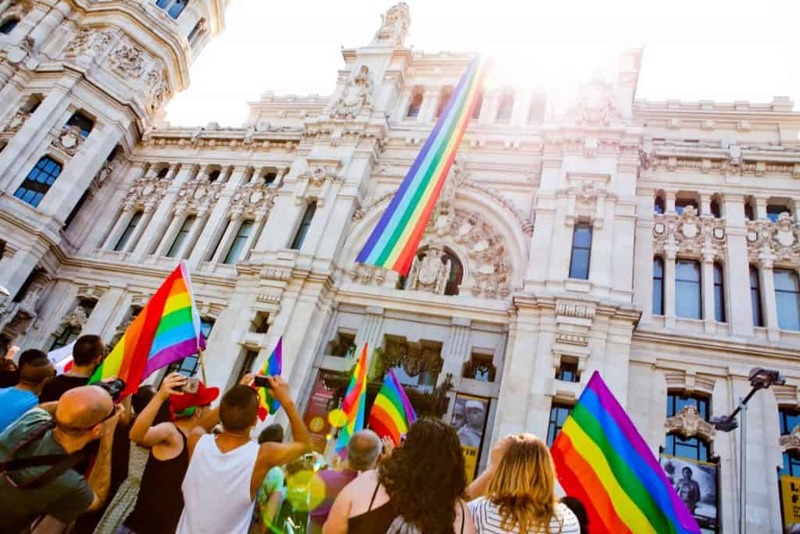 If you want to take a journey into Spanish culture and enjoy some of the most invigorating gay pride celebrations in the world, don’t miss these opportunities to let your LGBTQA colors shine. Though not typically known as a gay destination, Athens is very well known to all kinds of travelers who come to immerse themselves in the city’s renowned history. Many LGBT travelers may simply pass through the city on their way to more gay-friendly Greek destinations like Mykonos, but they’d be mistaken to skip Athens entirely or only drop in to catch a glimpse of the Parthenon on their way to a more relaxing beach town. 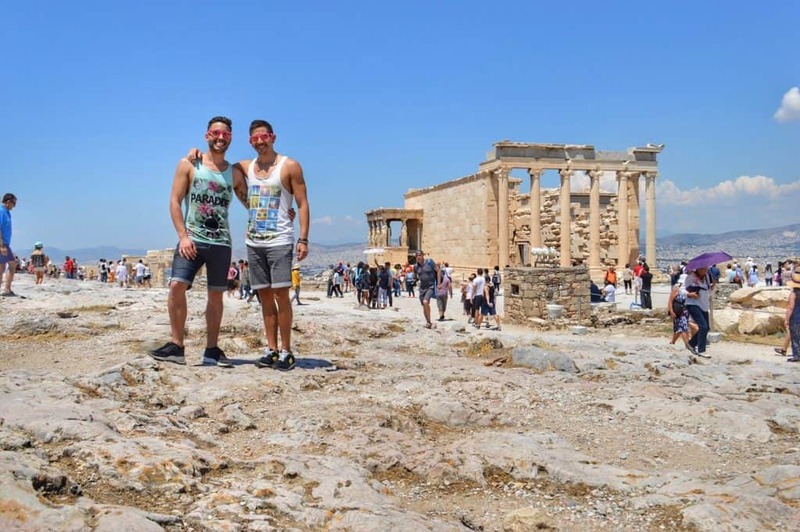 Gay travelers should be sure to discover the real Athens by using these tips in order to experience Athens like a local. Athens is one-of-a kind and is famous for its historic sites. We visited Athens during Gay Pride, checked out the sites and did a few gay city tours. Watch our latest video on YouTube and find out why we think Athens is awesome! PS – Don’t forget to subscribe to our YouTube Channel here! Our favorite time of year has arrived! June is Pride month and the time where many cities around the world hold their annual LGBT Pride festivals. This year we’ll be heading to Athens Pride and of course returning for Madrid Pride. One of the great things about pride festivals is that although they all promote and celebrate LGBT equality, each one is unique as it represents its own local community. 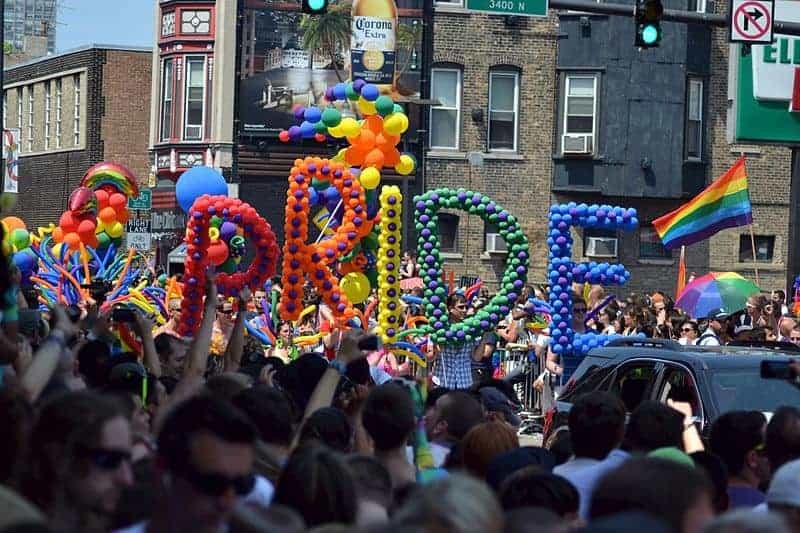 In honor of pride month, we’ve partnered with Expedia.com to round out some of the best and unique pride events celebrated in the U.S. – some we’ve attended, some we’d love to attend, but all worth the trip. Barcelona is a very popular destination for LGBT travelers so not surprisingly, our summer long #mygaypride campaign in which we covered 8 different city Prides also took us to this beautiful city on the Mediterranean coast. Living in Madrid, it’s just a two and half hour train ride away with the AVE, Spain’s high speed train. We used our Eurail pass, which allows us nearly unlimited railway travel around Europe for two months, to book our seats on the AVE and off we were! Barcelona is easily connected via railway not just within Spain, but there’s also a high speed train from Paris. 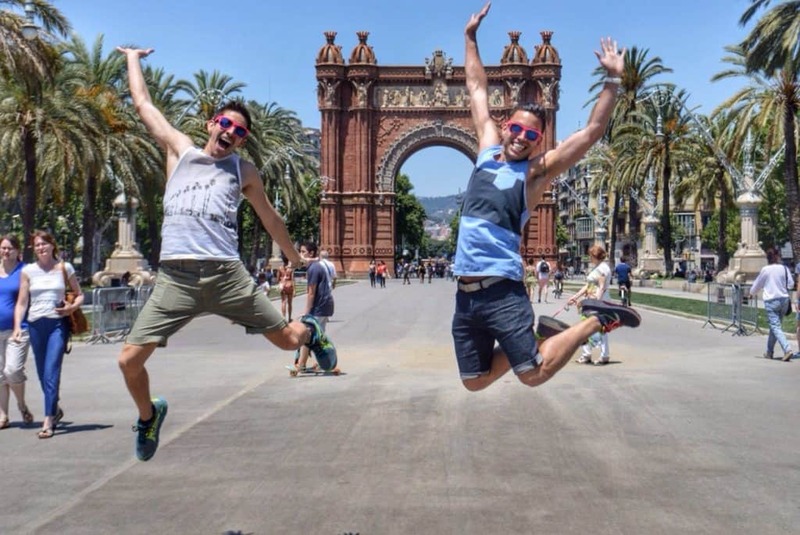 Once there, we met our #mygaypride team members as well as our media partner, Gay Star News, and discovered some of the best summer activities when in the capital of Catalunya.